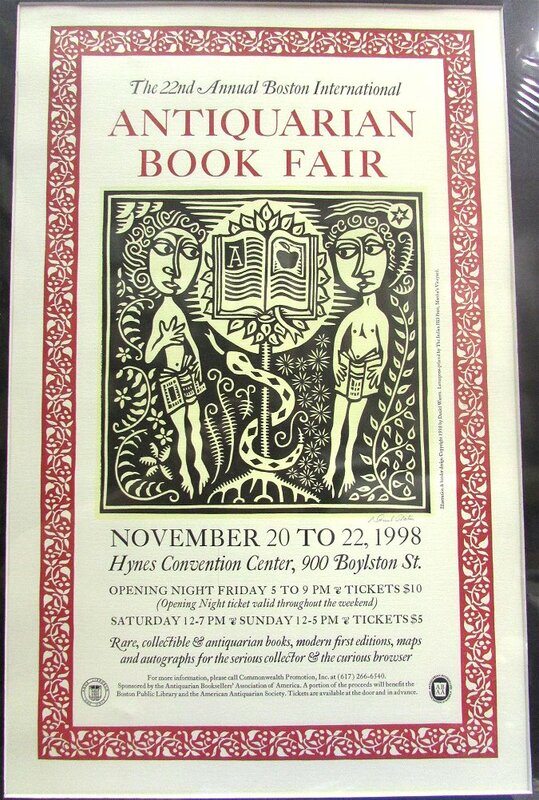 (Poster) The 22nd Annual Boston International Antiquarian Book Fair. November 20 to 22, 1998. 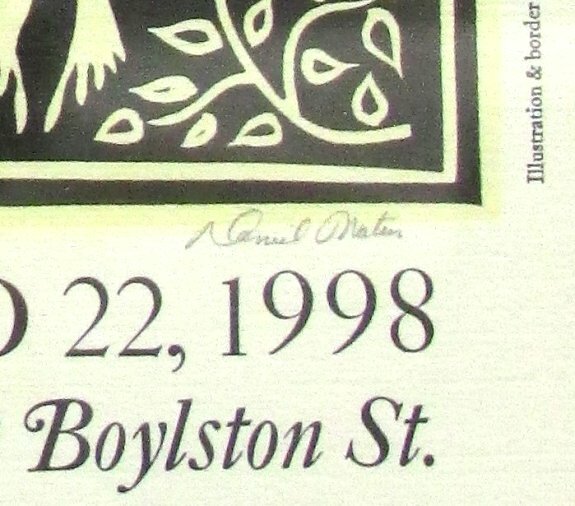 Martha's Vineyard: The Indian Hill Press, (1998). Signed in pencil by Daniel Waters, who did the illustration and border design. Size is 21" x 14 1/2". Fine. Poster is matted.